Want to save time? Want free resources? 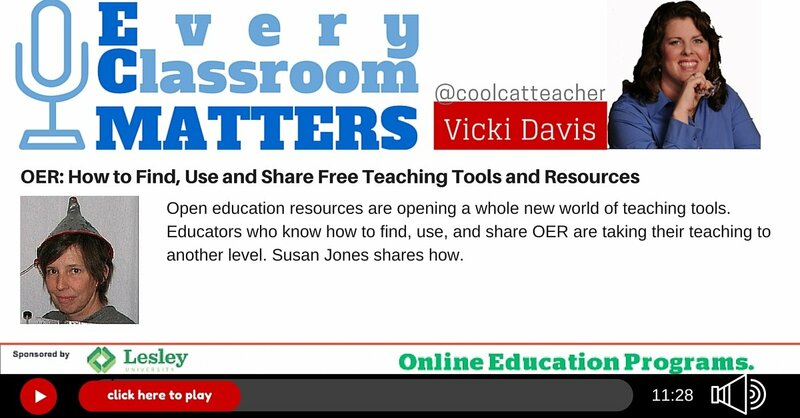 Open education resources (OERs) can help busy teachers everywhere! Do you know how to find them? Use them? License them? Make your own? Today’s guest, Sue Jones, has created a helpful guide to OERs and is using them in her highered classroom. You can do this! Listen to today’s show to get started. How OER resources can save teachers lots of time. Finding videos, PowerPoints, and more that you can actually use. A fast tip for figuring out which free videos are accurate. A cool network where educators share tons of free resources. Why teachers are so excited about OER resources. Creative Commons Search– a turbo fast way to search! Lesley University has an impressive line-up of online programs specifically designed for busy teachers. If you’re interested in strengthening your professional training, your resume or your career options, you’ll want to take a look at what Lesley has to offer.Lesley’s programs include: •creative learning environments •experienced faculty •small classes, and •the kind of supportive online community that we all value and want. Take a moment to check out Lesley’s programs for teachers by going toOnline.Lesley.edu/BamRadio. 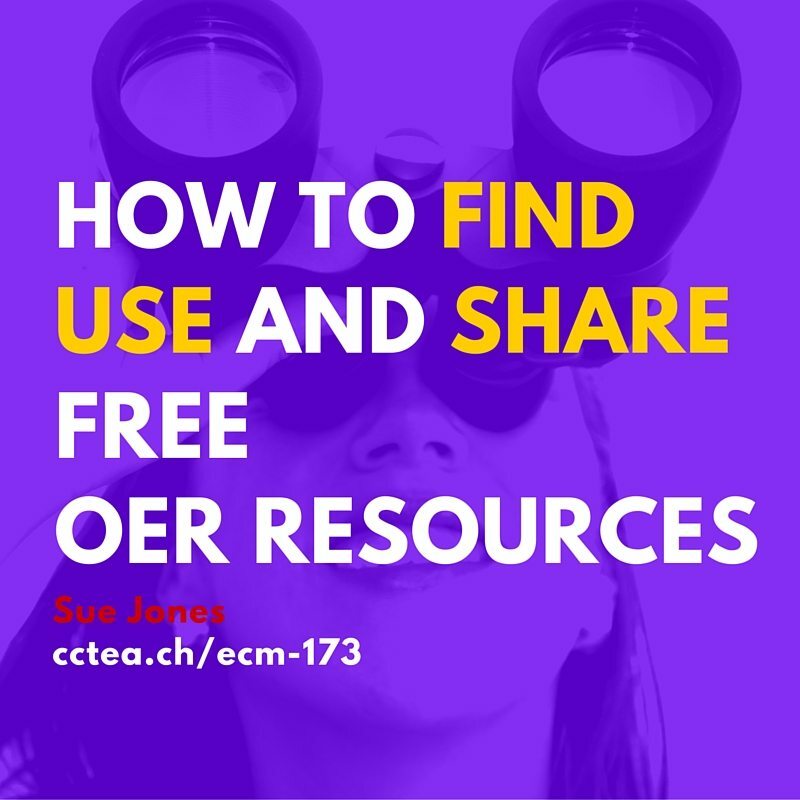 The post OER: How to Find, Use and Share Free Teaching Tools and Resources appeared first on Cool Cat Teacher Blog.